An Aravali Ramble | Souvenir. 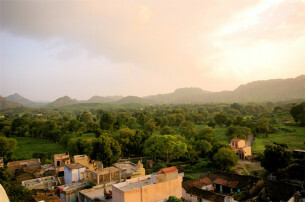 If you intend to lock in the rustic beauty and pastoral tranquility of the ancient Aravalli Hills and its folk, it is advised to plan your itinerary accordingly and overnight at properties that extend this theme and are not diluted by the chaos and noise of the larger towns or tourist groups. 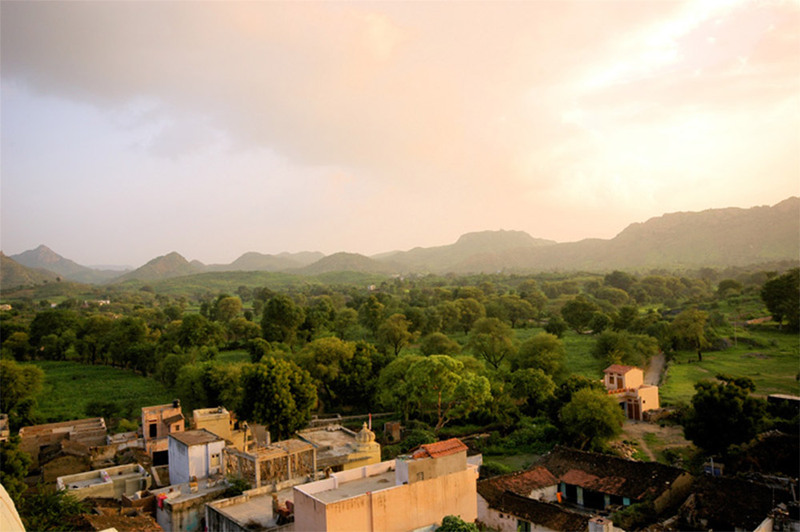 Even the small towns, whilst charming, can sometimes break the hypnotic calm of an Aravalli countryside sojourn and one can pick out a routing with the appropriate properties, together with unique activities, that maintain the distinct charm of these villages and its people. A recommended route (SW to NE) true to this theme (one would need a car and driver) would include say the lakeside deco-heritage of Dungapur’s Udai Bilas Palace then Udaipur (various options), and onto Devi Garh (modern minimalism, see above), then on to Fort Seengh Sagar (see above), then a night in Jajawar or Kesar Bagh (below; horseriding and Rabhari camel herders) before moving on to Rawla Narlai (for authentic rustic charm), the Temple at Ranakpur, Rohet Garh or the new Mihir Garh (both below) and then Jodhpur, would ensure a relaxing and peaceful routing in comfortable, unique properties. Returning to Delhi and keeping true to the Aravalli’s you could overnight at Shahpurah Bagh, Samode Palace, Amanbagh and finish of with Neemrana, all renowned, luxurious properties. This is a city-free option which will encourage a hassle-free, activity based trip, far from the crowds and tourist groups. Arrival airiport / railway station by our representative, later transfer to hotel. evening visit chokhi dhani an ethnic resort enjoy folk dance, cultural program, rajasthani dinner. Overnight at the hotel. Breakfast at hotel, and city tour of jaipur visit- birla temple, albert hall, wind palace, city palace, observatory, water palace & elephant ride at amber fort. Overnight at the hotel. Breakfast at hotel and proceed for udaipur. On arrival check in at hotel. overnight at the hotel. After breakfast city tour of udaipur visit-city palace museum, pratap smark, shahelion ki bari, shilp gram, jagdish temple and boat ride at fatehsagar lake. Overnight at the hotel. After breakfast drive for mount abu on the way visit ranakpur-the 14th century jain temple having 1444 pillars, not one of which is alike in its carving. Cupolas surround the five spires. Then continue drive for mount abu, on arrival check in at hotel. Evening stroll around nakki lake. Overnight stay at hotel. Morning visit to delwara temples, guru shikhar. After lunch visit to nakki lake and sun sent point to view the sunset. Over night at the hotel. Today drive for pushkar, on arrival visit ajmer- khawaja sahab shrine and brahma temple, Sarovar Lake, and various ghat. Overnigth stay at hotel. Drive for Jaipur and in time transfer to airport. Tour ends with sweet memories.